I love nothing more than a kickass charcuterie board. 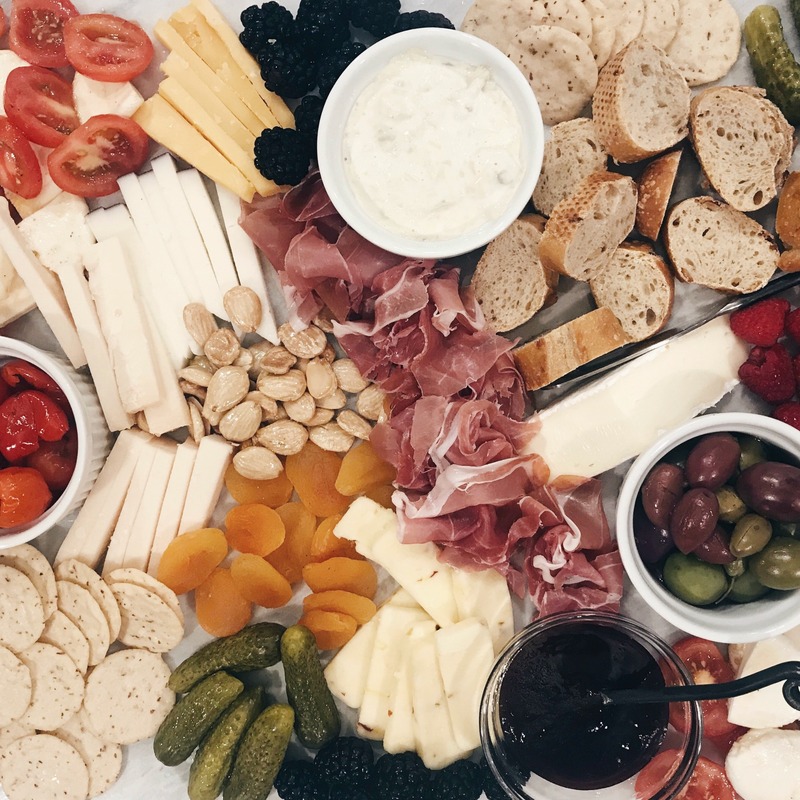 There is something about creamy cheeses and cured hams paired with homemade jams and fruit that makes my mouth water instantly. 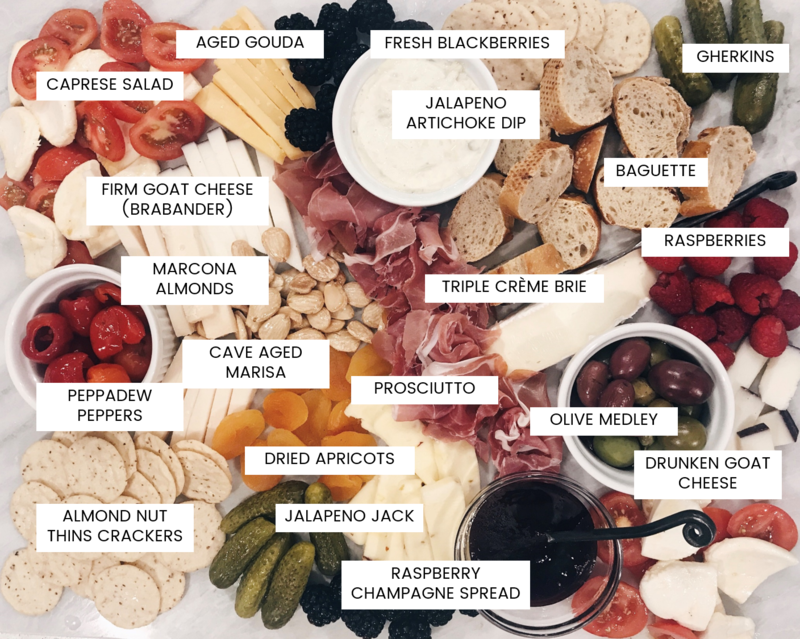 Whether it’s a Tuesday night dinner or a get-together with friends, making your own charcuterie board is easy. I have (to the chagrin of my husband) about a dozen different types and sizes of boards. My favorite of late is this oversized marble slab from Sur La Table (note this doubles as a kickass backdrop for Instagram photos). You’ll need about 2 ounces per person, generally. Vary the types of ham you get—the usuals include salami, prosciutto, coppa, sausage and chorizo. I often try to find the spicy variety too. If it’s a small dinner, or just my husband and me, I stick to two types. I love meats like prosciutto and coppa thinly sliced while I like to have thicker cuts of salami. Pick up a variety of tastes and textures. Consider picking up hard and soft cheeses, goat and cow’s milk cheeses, perhaps even from different regions. If you have a local cheese shop, try lots of samples and pick up a diverse few. My personal go-tos are aged gouda, some type of brie, a firm goat cheese, a spanish cheese like Manchego, some spicy jalapeno or pepper jack, and some fresh mozarella. Although I am not a fan of pickled anything, my husband is and so I always try to include Gherkins or olives. And if I can find some, I always throw in some peppadew peppers which are these delicious sweet piquante peppers grown in South Africa. They aren’t hard to find though and they are amazing with soft cheeses like brie. I love switching out which spreads and jams I use, try both sweet and savory. I love locally made spreads too. Have fun with this! A must. We always get marcona almonds and dried apricots. Sometimes I get dried or fresh figs plus fresh berries or grapes. You can also include slices of apples or pear with some honey drizzled on top. Other options are dried dates, pine nuts, walnuts, pecans, cashews or even sea salt chocolates for some yummy indulgence. I love including a freshly baked baguette thrown in with something a little crunchier… wheat or multigrain crackers. My personal fave is the Almond Nut Thins, which are gluten free. If it’s a bigger get-together I toss in some dips in small bowls or even a caprese salad with some lemon for substance. This is one of the fun parts! 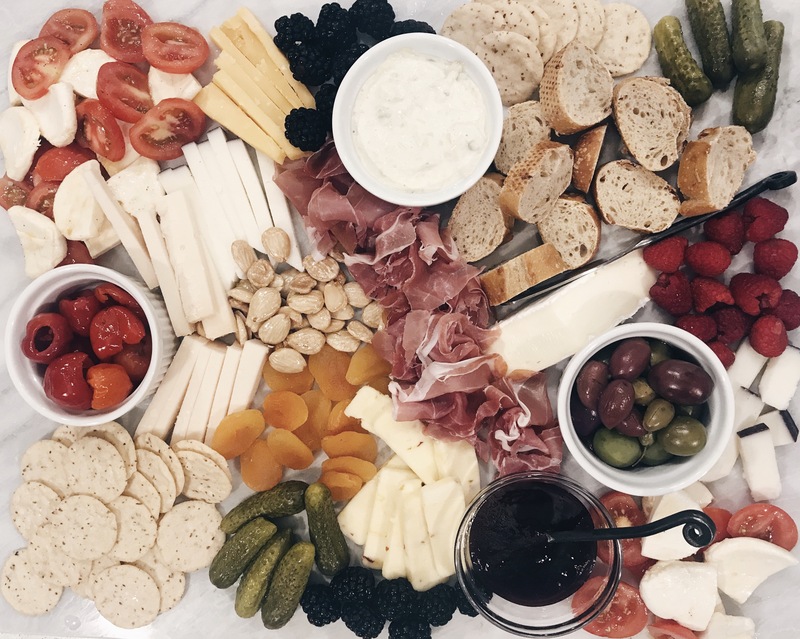 Double up on small bundles of cheese and ham on both sides of the board, especially for a bigger get together… that way people can grab from the side closest to them. Vary your textures and colors, mixing in bright pops of color with your fruits. When you place your meat, twirl them a little in individual slices so they are easily grabbed and cut your cheese in bite sized portions that fit your bread/cracker options. That’s it, make sure to grab your favorite wine or champagne and enjoy! ps. Check out what you need to entertain once you have this amazing cheese board DONE!!! !